All Star Mobile Entertainment customers are happy customers! Like to add your story? Contact Us and tell us about your party! "If you're looking for the best gaming truck around, then you've definitely found it with All Star Mobile Entertainment!! I had them come out today for my son's 12th birthday party, and it was SO much fun!! Not only do they have the best prices, and games, but the family that runs it is WONDERFUL! I can't say enough about great they are! Invitations got to us super quick, and they keep in touch with you the whole time. The entire experience with them was easy, and exactly what we wanted. We looked at a lot of other trucks, but this was the best all around, and I'm SO glad we went with them! 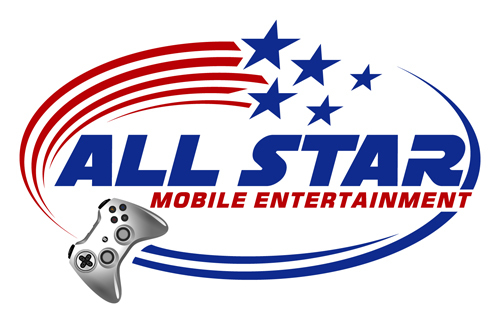 THANK YOU All Star Mobile Entertainment!!! The kids had a blast, and my son had one of the best parties ever! I will definitely contact you again. " - J. Foster- Oakley, CA. "Thank you All Star Mobile Entertainment! Owners Tess and Allan are so professional and easy to work with! I knew my twin boys' 8th birthday party (with 40 kids!) was going to be a hit because of them! Two thumbs up! Highly recommend! =) xoxo The Gordon Family (Orinda, CA)." "We used All Star for my son's 7th birthday party and it was a complete success! They were on time, professional, courteous and I was very impressed with the cleanliness of their truck. All of the kids had an absolute blast and I especially appreciated how great their son was with mine. I highly recommend this family business, they not only impressed me, but my guests as well! Trust they will not disappoint! I am truly grateful for their service!" -Vanessa L. - Brentwood, Ca. “Had to write a quick note to tell you how great the Video Game Truck was last weekend. By the time your kids are teens, it’s never easy to come up with a creative birthday party idea that everybody loves, but this is it. Everybody loved the party, and it was the first truly EASY party we've had in years!" - Brenda L. - San Ramon, Ca. 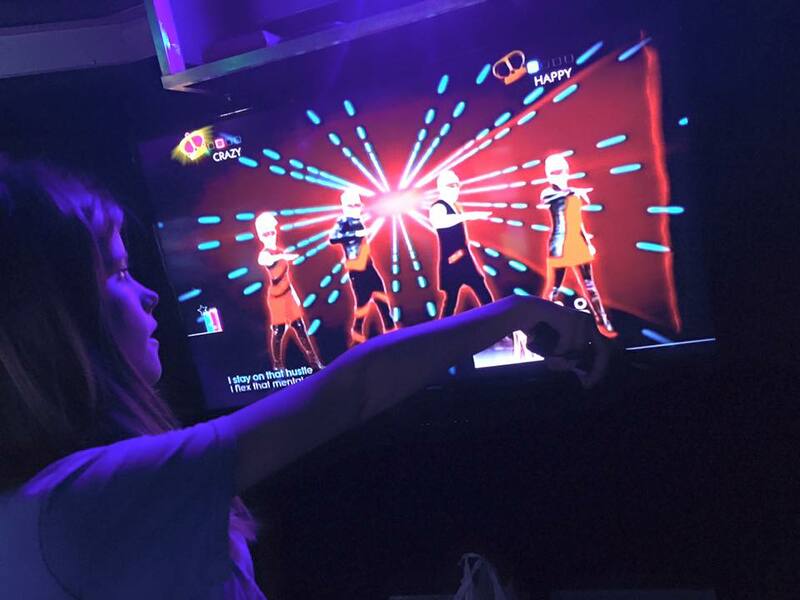 "Thank you Allstar Mobile Entertainment for making our daughter 's 13th birthday party a great success! We needed a way to entertain a large party of teenagers and adults, as well as small children. Your mobile interactive gaming truck was a perfect solution and a great user experience - everyone had a great time both inside and outside game truck! All of our guests were excited and ready to start playing almost right away. Your service was very professional and also very personal, and we love the fact that it is a family run business that you are all very passionate about. Thank you again for being available for us and our family and we look forward to using your services again in the future." - Marc and Cecilia D. - Pittsburg, Ca. "We had Allstar MobiLe Entertainment do our grandson's 12th Birthday party !! Everything about the experience was top notch and enjoyed by all who attended. The people that own the business are so friendly and easy to work with. The price for the two hours was very reasonable for all the games the kids got to play. The video truck is clean and well designed. People walking by ended up wanting to know more about it so they could book their own party !! Anyway, we are so glad we used this service for our party. Excellent business !!!!" - S. Tyler - Brentwood, Ca. "If I could give them 10 stars I would! They kept in touch with me from the day I booked until right when then pulled up. Probably the friendliest party people we've ever dealt with in the 7 years we've been throwing parties. They arrived early, and even stayed a few minutes past just so the kids could finish their dance game. The truck was immaculate and I don't believe the kids even came out more than once in the two hours we had it. It kept them busy the WHOLE time and there is no doubt in my mind I'd use them again. You will not regret renting this truck, they were amazing!" - W. Ramirez - Oakley,Ca. "You guys are so awesome and thank you for making it feel like one big happy family and not just a job... 10 � you guys rock..." - P. Lancaster -Antioch, Ca. "They saved us! Our video truck we rented flaked on us, and all star mobile saved the day. My kids had a blast, so did the adults. We will definitely be using them again. The truck atmosphere is awesome, and their game selection was limitless. LOVE THEM!" - N. Westerman - Antioch, Ca. 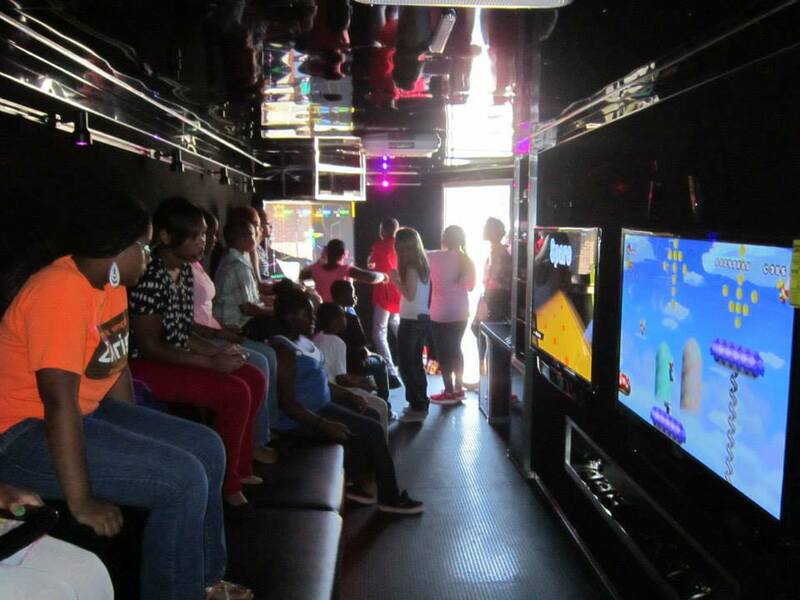 "Adults and children alike had so much fun when the the video game truck came for my son's 10th Birthday party. It was a little cold out but the kids stayed warm on the inside while us adults stayed warm outside by dancing to the outside gaming station. We will definitely use this service again. Not only was it fun, but the family operating it are great people. Thanks again." - N. Cutright -Brentwood,Ca. "Such a fun way to celebrate! All Star Mobile is a is top notch family owned and local small business. They came early to setup and oversaw the entire party. And what 12 year old boy would want 19 of their closest friends to hang for hours of gaming? Thanks for a great time All Star Mobile!" - C. Martin - Concord, Ca. "So much fun and WONDERFUL customer service!! My son and all of his friends had a blast today!!" - J. Jones -Brentwood, Ca. "I absolutely loved this company and recommend them to any and everyone. It was a total success. So friendly and professional. I did not have to worry about anything. The kids and Adults had a blast!" -R. Lomax -Antioch, Ca. "All Star Mobile Entertainemnt hosted my daughter's 11th Birthday party at a park. Not only they came way early to setup but they've allowed my daughter & her friends to start few minutes earlier than agreed start time. The whole family's very accommodating, patient & very professional. The quality of their video game truck is spotless & accommodates all sorts of video games. I highly recommend their business. Thank you All Star. We had a great time!" - M. Peters - Walnut Creek, Ca. "The kids had a blast with the mobile truck at our Twins Birthday Party. The excitement they all had when the truck pulled up was priceless! Everyone was entertained for the whole 2 hours. We will definitely have them at our next function." A. Tassi -Antioch, Ca. "We had the best experience today!!! They are the best!!!! The whole family is amazing, thank you so much for this unforgettable experience!!! We will definitely call you for our next party!!! Thank you!!!!" M. Preciado -Vallejo, Ca. "They were great my son loved it my whole family had fun. She kept in contact with me letting me know every detail. Definitely going to have them at a couple more parties and family get together." - S. Biagas - Antioch, Ca.